You are currently browsing the tag archive for the ‘Evelyn Waugh’ tag. It is an odd thing to realize that I have crisscrossed the world four, or five times, but I have seen so little of it. What is worse is when I realize the road I am driving down looks identical to the M50 motorway in Co. Dublin. Sometimes life in English-speaking countries feels like wandering through a massive airport. All the stores are the same. Fast food is an essential element of city-life. We even watch the same television shows, movies and music videos. I understand the attraction to visit countries where a different language is spoken, where the culture needs to be studied to be understood. Unfortunately it often seems as if these places are the destinations of choice for boozing tourists. Centuries of history can be summarised in a single guided tour. Author Mic Looby once worked for Lonely Planet and you can tell how it informed his story of roving tourism guide writers. My only concern is whether any of this book was true! Mithra is a struggling editor at SmallWorld, a guide book publishing company. She does not make much money and an accidental affair with a colleague has caused her no end of grief. When the new management, represented by the Global Facilitator, begins downsizing the company, Mithra’s position is abruptly ‘phased out’, only for her to be almost instantly offered a new position. She is to be made a writer for the latest SmallWorld guide book on the tropical island of Maganda. The only catch (apart from having to pay her own way) is that her predecessor Robert Rind is refusing to answer any emails. She will have to inform him that he has been fired in person and obtain his updated notes on the island nation. When she arrives she discovers that Rind is a phantom, known by everyone on Maganda but rumoured to be either dead, or vanished into the mountains. Wherever she turns she meets rival travel guide writers, who prefer to sit by hotal pools and write their accounts using their internet connection, instead of visiting the locales they are describing. Mithra also discovers that the SmallWorld guide to Maganda is ridiculously out of date. It seems as if Rind is not quite the legend she thought him to be and has instead been simply writing lies for years. Throw in increasing civil and social unrest, a looming launch campaign for the new guide book and conflicting reports of appearances by Rind and Mithra begins to wish she had never left her stultifying office cubicle. Paradise Updated is both a sly send-up of the tourist guide-book industry, as well as a comedic take on Marlow’s search for Kurtz in Heart of Darkness. While Rind is eventually revealed to be similarly megalomaniacal, he is also crippled by hypochondria. Particularly with regard to the condition of his bowels and there is much scatological humour to be found in these pages. 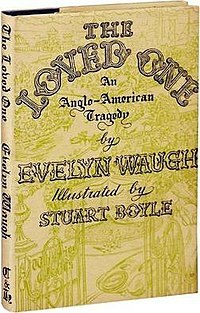 The blackly comic tone is quite similar to Evelyn Waugh, particularly his novel Scoop, with the tourists that descend on Maganda blithely oblivious to the injustices suffered by the native population. A light read, with a sharp sting in the tail, making for a very promising debut.